Auto Maintenance 101: Why Is My Car Shaking? Don’t take your shaky vehicle lightly. It could be as simple as warped rotors, or it could mean something more significant. Consider these common issues for vehicles that can cause your new or used car to shake, then determine if it’s time for a service check. You might notice that your vehicle starts vibrating and shaking once you hit a higher speed. If your wheels are unbalanced, they can cause your vehicle to shake as you drive. At times, a hidden issue remains despite the fact your tires have been properly balanced. If you drive down a muddy road, mud can cause your vehicle to shake because this can cause your tires to become unbalanced. Use pressurized water to remove debris from your tires. If you’ve noticed that your vehicle pulls to the left or right when you drive, you’re likely to incur some shaking when you drive at a faster speed. Poor alignment can cause issues for your tires and other problems for your vehicle. You will want to get this fixed as soon as possible. Once your car is out of alignment, it can get worse quickly. Hitting a pothole or other obstruction can make a little issue much bigger. If nothing else, it can cause your vehicle to use more gasoline than it should. If you notice that your vehicle is jittery when braking, your rotors are probably warped. However, you might hear a noise while braking, which also means you need brake pads. Ideally, you want to avoid warped rotors. You should regularly check your brakes and have the pads changed when needed to avoid issues with your rotors. Frequent braking at high speeds or riding the brake can cause problems for the rotor too. When brake pads can’t cool quickly, they can cause the rotors to warp. Brake rotors usually wear down slower than pads because they are harder than brake pads; however, heat can cause soft spots in the rotors and cause warping in this manner. However, driving on muddy and rocky dirt roads can cause problems for your rotors too. Mud can cause your brake pads to wear out more rapidly. Regularly washing your vehicle can help to avoid this issue. You can have your rotors turned to make them smooth again, but you can’t do this type of repair indefinitely. Brake rotors cost more than brake pads, so it’s best to keep up on changing your brake pads regularly. If your vehicle starts shuddering, jerking or feels like you are going over a series of bumps, there could be an issue with your engine. If your spark plugs are worn out, or if you have problems with either your fuel or air filter, your engine is being starved of what it needs to run properly. It’s advisable to check for these issues. If you’re due for a tune up, it’s a good indication that you need new spark plugs. If the vibrating isn’t caused by any of the above issues, you could have problems with your hubs or bearings. If your tie rod ends are damaged, they can break and cause an accident while you’re vehicle is in motion. Regularly get your wheels and all other parts checked. At times, your axles can become dented or bent. A minor accident can cause this, so you shouldn’t rule it out. Whether you have a new car or used car, it’s time to get it repaired or serviced when you notice that it’s shaking. A shaking car will cause your mileage to plummet and cause additional wear and tear on your car’s parts. 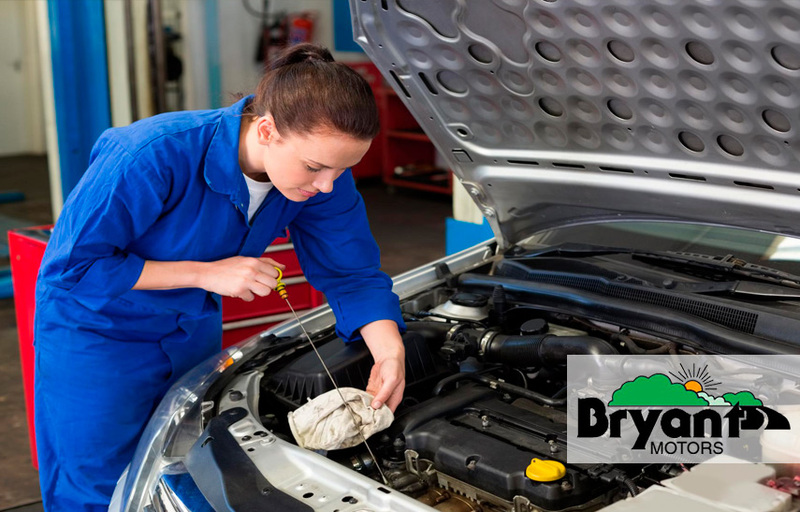 Bryant Motors offers hassle-free auto maintenance in Sedalia, MO, and the surrounding areas for ALL makes and models.